Wow! Talk about earth-shattering news to a girl who strived for nothing less than perfection! It rocked my world… but in a very good way. As I began to ponder her words, I sought academic material on the subject and found support for her stand. In Co-active Coaching, Kimsey-House et al. (2011) purport “the issue of balance exists on two levels: the underlying quality of life and the day-to-day experience” (p. 130). They go on to explain how we are all really seeking a life in line with our vision so we may successfully juggle our priorities, employ tools that will propel us forward, and make proactive choices designed to empower us. Once I came to the realization that I’m In Control of balancing my life, I became empowered to live out my vision of helping others to be still and overcome busyness. I used to look at my overcrowded schedule and give myself a pat on the back because I could accomplish so much; but then I identified my perspective. I believed being busy was a sign of great productivity. What I realized is that busy does not always equal productive. So, I make a choice to stop when my schedule becomes too busy. Then, I initiate a commitment to choose my activities more carefully and simplify my schedule. Finally, I craft action steps, which will support my commitment. That may mean saying “no” to another volunteer opportunity so I can say “yes” to helping a specific friend in need; but when I’m In Control, balancing seems to happen supernaturally. Take another look at the picture above. 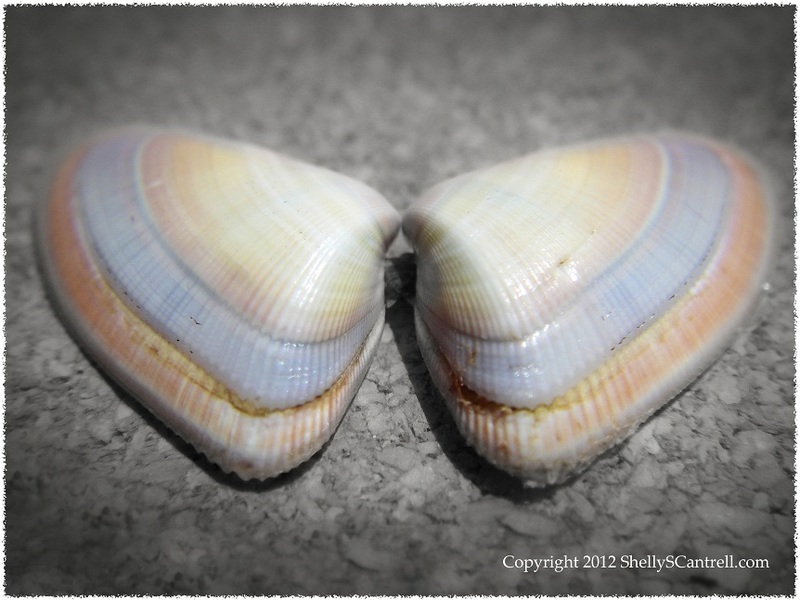 At first glance, the butterfly shells look identical and perfectly balanced. But take another look and you will see the different markings. Plus, one has more “wounds” than the other. These shells remind me that life is not perfect, and I may never feel exactly balanced. Some days are more polished and some days will leave me with a few scars, but as long as I try to keep balancing in a healthy way… I can exude a beautiful vision. What is one small step you can take, today, toward balancing your life and living out your vision? Kimsey-House, Kimsey-House, & Sandahl (2011). Co-active Coaching. Boston, MA: Nicholas Brealey Publishing.